In-House Printing Solution LabelShop is the ideal software for printing labels, tickets and tags in-house. ODBC Support Connect to your existing corporate data-bases or use the built-in database manager. 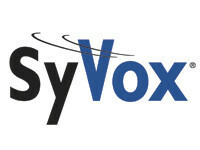 Graphic Flexibility Incorporates various formats, and can scale, rotate and mirror your graphics. Powerful Label Printing Solution Use LabelShop PRO for label printing solutions in all environments. Develop command files for use in host systems or store in the printer. 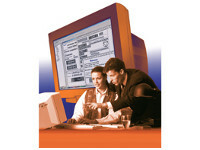 ActiveX® Support Use LabelShop PRO in integrated solutions with third party Windows applications. 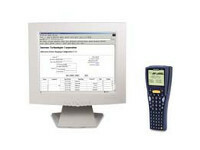 Code Converter Import your existing label formats and printer command language files from several printer manufacturers. Supports Windows 95/98, Me, NT 4.0, 2000, 2003 Server and XP. LabelShop, the ideal bar code label software to meet your needs. The user-friendly interface combines powerful Windows based commands with the graphic flexibility to scale, rotate and mirror graphics. LabelShop guides you through designing and printing labels in-house quickly and easily. Users can display multiple labels, drag and drop or cut and paste objects between labels. Objects can also be linked to other applications using OLE objects like Clip Art and spread sheet data. 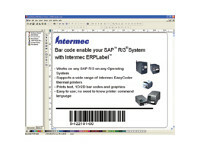 LabelShop uses Intermec EasyCoder printers for maximum speed and high quality labels with bar codes, text and graphics. LabelShop START provides basic label design functions, text, bar code, graphics, sequential numbering and keyboard input data, and comes free with all Intermec EasyCoder printers. Intermec’s LabelShop ULTRA and PRO versions support ODBC for accessing existing corporate databases. This is valuable to ensure up to the minute information is printed on all bar code labels.This eliminates extra steps in the label design process as well as possibility of errors or outdated pricing or part numbers. Using the Code Converter feature in ULTRA and PRO versions enables users to import existing label formats and printer command language files. This eliminates the depend-ency of label design to the printer command language. Once imported, the data stream is converted to print on the EasyCoder printer of choice. LabelShop PRO is not only a label printing software, but a powerful tool in label printing solutions. Develop command files for use in host systems, or store them in the printer for simple printing from host. Use the Printer Output files to generate files to embed in your ERP system or the optional ERPLabel for SAP R/3 package.